This appliance must be installed, commissioned and maintained by a competent person. 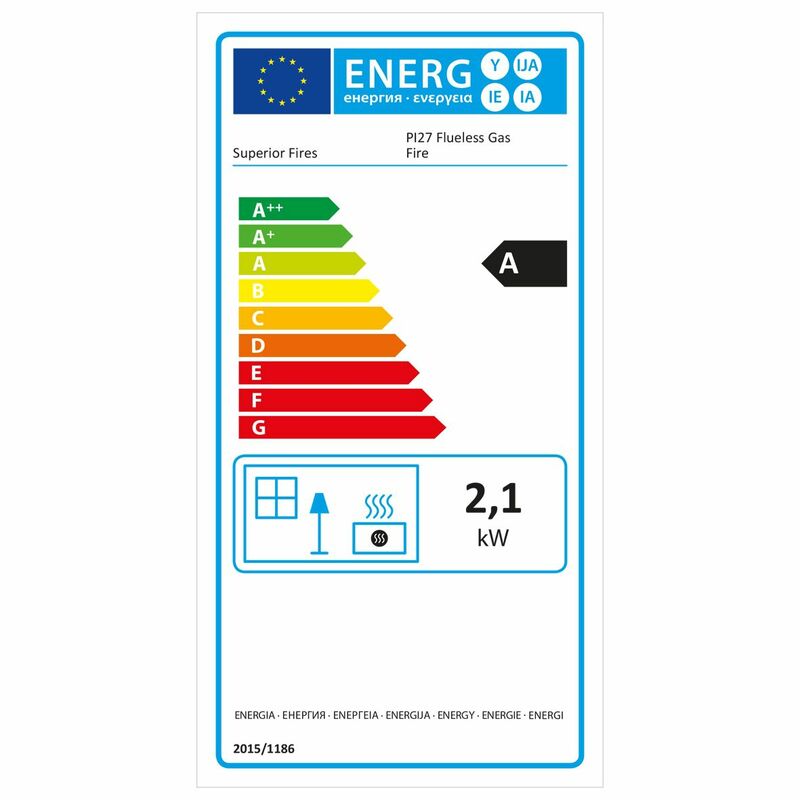 Prior to installation the competent person must ensure that the local distribution conditions (identification of the type of gas and pressure) and adjustment of the appliance are compatible. This appliance must be installed in accordance with the rules in force, and used only in a sufficiently ventilated space of adequate volume. Consult the instructions before installation and use of this appliance. The competent person must refer to and comply with the specific instructions listed in the Installation Manual before starting to install and commission the appliance. All our flueless gas fires require a 100cm² purpose provided air vent in the room to provide fresh air ventilation to replenish the air used by the fire. A high quality air vent can significantly help reduce any drafts if installed correctly. Superior Fires has approved two models for use with our flueless gas fires and they can be purchased at the same time as fire for your added convenience. Are you sure you don't need an air vent? This flueless fire will need an air vent. The Westbury flueless inset gas fire is based upon a traditional inset gas fire but due to its innovative catalytic flueless technology doesn't require a chimney or flue. It features all the benefits of flueless catalytic technology; reduced running costs, simple installation, realistic coal fuel bed and an ultra clean burning ribbon burner. Being flueless all the of the 2.3kW heat output is distributed into the room with no loss up the chimney unlike a conventional gas fire. A 43mm spacer frame is fitted as standard to minimise fitting depth (92mm + 20mm clearance) however, for a true flat wall fix to a non-combustible wall/backpanel then the 43mm spacer can be removed and an optional 155mm spacer frame purchased. The only considerations when installing this appliance are a minimum room size of 27m³, an accessible 8mm gas supply and 100cm² purpose provided ventilation. This fire is available in Manual (Rotary) with coal fuel bed only. There is no requirement for mains power supply or battery for ignition. The Blenheim fret is a classic traditional cast design with ornate vertical bars and delicate form. It features a bowed profile with two decorative finials and is designed to free stand in front of the fire and frame. The Blenheim fret is available in: brass (solid brass), brass & black (solid brass), chrome (chrome plated brass), chrome & black (lightweight aluminium), black (lightweight aluminium). The ashpan is a separate component and if applicable, provides access to the controls (model dependent). The one-piece frame is held in position with magnets (supplied) and is available in either: brass effect, chrome effect or black.